Doctors 1-10. 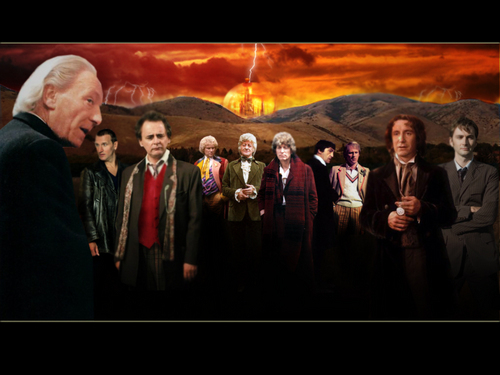 All 10 doctors. HD Wallpaper and background images in the डॉक्टर हू club tagged: doctor who. This डॉक्टर हू wallpaper contains बिजनेस सूट. There might also be संगीत कार्यक्रम, आग, and नरक.